The legendary pokemon of each region have started a war against tamed pokemon and their trainers. Subsequently all of the wild pokemon begin to obey their legendary superiors and start to fight against the trainers as well. You and your team fight against the other pokemon in order to stop this war before the bond between human and pokemon is completely broken. Last edited by HErnst25 on Sun Oct 23, 2016 9:15 am, edited 1 time in total. Curly black hair. dark complexion, likes to dress formal, but often seen wearing a black jacket and red T-shirt. He wears a lightning bolt made of metal around his neck for the flaafy that he lost a kid. Last edited by Dark_Swampert on Sat Sep 18, 2010 3:59 pm, edited 1 time in total. Thank you for accepting my character. I didn't think it would be approved because it lacked deatale. My other characters are way more indept then my guy here. Appearance: 5'4", Hazel eyes, normal white skin and semi long dirty blonde hair. Usually in Jeans, mostly black, with T-shirts with no design, usually black, blue, and red t-shirts. Usually wears a hoodie, usually black and mainly his black and white checkered one. Wears white & black sneakers. History: Kris was never very good at making friends, but was somehow well-known. 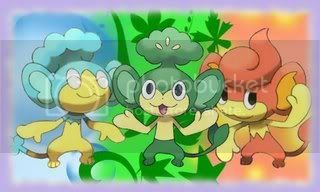 Since he wasn't very good at making friends and the ones he had weren't always reliable, he made friends with Pokemon. He trained daily, eventually taking on all of the pokemon leagues, effectively making his team almost invincible. He now stays at his hometown, waiting for a new challenge to come. Appearance : Straight short black hair, Asian posture, usually uses black t-shirt and silver/chrome trousers, uses sunglasses because his eyes were sensitive against light. Wearing a watch on his left wrist, usually uses black shoes with white socks. Sometimes seen with earphones. Personality : Kindhearted, shy, usually smiles. Got a phobia to bugs, even seeing them already makes him shiver in fear. And got a poor conditioned body, often coughs and sneezes. Background: He was Wally's friend since they were 5 years old. When he hears that Wally got a pokemon, he wants to get one too. He asked to Norman to borrow a pokemon, and he finally catched a female Ralts, and also a male Ralts. He moved to Saffron City because his father's job got assigned there. And there, he trained his pokemon. ...yesterday has gone and passed, when do you plan to start? The television flashed in the background I turned around to look, but they were still reporting on how wild pokemon were going crazy in Kanto. I had thought it was a quite odd but I had noticed that it was beginning to happen here. Many were scared but I wanted to get to the bottom of this. "Alright It's time to leave nightmare I grabbed on the the drifblim's legs and flew out of the volcano on my way to Lilycove City to see what answers waited for me there. On my way there I noticed all kinds of water pokemon chasing down swimmers. I knew that what ever was going on had to be something bigger than just these pokemon. Derek was riding on Flygon as he had been doing for quite some time now. His cape flaped in the wind. He had been serching all over Kanto to figure out why the pokemon were acting so strange. Derek had just couldn't shake the feeling that if the problem went unsloved something very bad would happen to the world. A war. Pokemon vs. human. He couldn't just let that happen. As he flew farther he noticed someone rideing a driftblim. He flew up to the trainer's side to ask somequestions about what was happening. "Excuse me, My name is Derek and I'm not from around here ,but could you answers some questions for me,"He said to the man. looking i knew it was him or me hitmolee went for a kick i doged and punch while he stumbled back this was my chance i through out fire ball's ball "flame fly me out of here!" the flaming fly lizard land so i could hop on his back "whats up with all the pokemon?" flying me over i see someone land down with a driblimb "take me down there" i walk over to him "whats with the suite? we are in Lilycove City thers no folmale party is there?" A man with a hitmolee came over to Derek and asked him about his outfit. Derek was surprised since no one ever asked him about his cloths. "This suit is very special to me. I wear every where expect on certain occasions. I wear it to honor my Master. You may have heard of him. He is Lance of Blackthorn City,"said Derek In a very proud manner. He jumped off Flygon telling him he did good. "oh that explains the cape. ya flew in after being atackt by a hitmonlee theres some thing bout the pokemon now a days." diglett poped to say hi "Hi" but to every one else it sounded like "diglett"
"Lance always wore capes so so do I. About the pokemon I came here to figure out whats going on. I just arrived here so I was flying around the region takeing a look around. Do you know whats going on?,"asked Derek. He smile at the diglet when it poped up. "I know nothing about the pokemon. I came here to figure out whats going on. I fear if it gets to bad. A war may break out of Humans vs. pokemon and I can't let that happen. I must get to the bottom of this and fast. So how long has this been happening? "said Derek. He start to pet flygon behinds it's wings. it was just how he liked it. "all i know is it start i areas were legens reside, that could have something to do with it." i called back fire ball into his ball "i acualy was going to ivestigate it to maybe we could work together?" "Were the legends reside you say? Well we're in Kanto ,right? So that means no dragon legendarys are here. Well thats a problem. I say we go pay a vist to a legendary,"said Derek. Ray was flying on his Skarmory and traveling around Hoenn, he wondered to himself what was going on in the world of pokemon? Why all the wild pokemon became ferocious? He continued flying on his Skarmory above Lilyclove City, then he overhear that someone was discussing about the chaos in pokemon world. He flew off there to find out who was talked about that, and he found out that there were three people discussing about the chaos. "Excuse me, are you guys know about *cough* what happened in this pokemon world? I overhear some of your discussion and you said that *cough* the legendary pokemon was controlling the wild pokemon, is that *cough* true? ", said Ray.